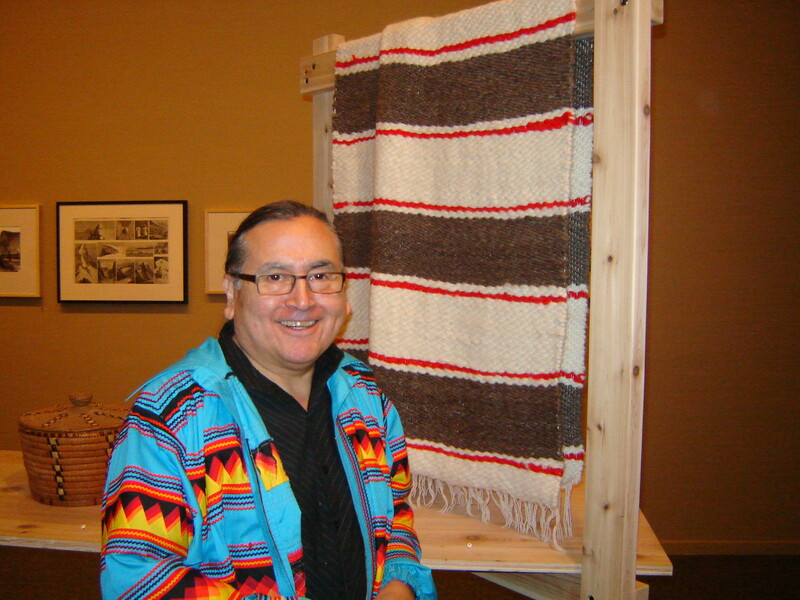 Keith Nahanee (Kwetsimet) is a Squamish Nation artist/cultural worker living in North Vancouver who began weaving at the age of twenty. Inspired initially by the traditional knowledge and skills of a great aunt, he has subsequently become a pioneer in reviving the function and sustaining the value of both spiritual and material culture within the context of contemporary First Nations culture. Nahanee is now widely recognized for his contribution of sacred masks and over a hundred ceremonial blankets. His work is permanently installed in the Great Hall of the Squamish Lil'wat Cultural Centre in Whistler. Click to view Keith's hand woven blankets and carved bentboxes. Click for more information about Coast Salish blankets.